Sharing food inspection results encourages businesses to work to reduce the risk of foodborne illnesses and allows consumers to make better-informed choices about where to eat. 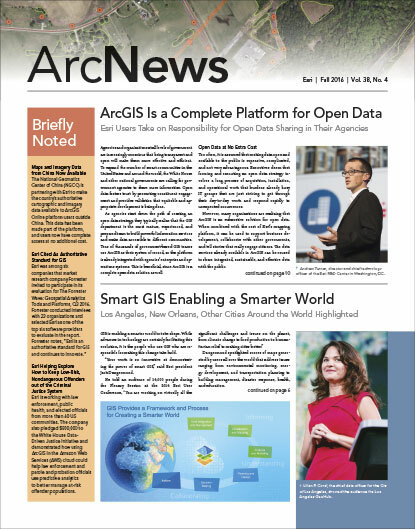 So Maricopa County developed a GIS app that now puts inspection results at every smartphone user’s fingertips. Every year, the department conducts more than 60,000 inspections at food establishments. Departmental staff maintain the county’s food inspection results, which include overall inspection grades; priority violations, such as insufficient hand washing or incorrect food temperatures; and businesses that participate in the county’s food safety partnership, which promotes best practices and recognizes quality food safety systems. Until recently, inspection grades were only available to the public in two ways: businesses that participated in the voluntary grading system could post their grades at their establishments, or the results were available on the county’s website. To get a report of the inspection results, interested parties could run a query from the website, searching by inspection date. But the search and reporting features had limited functionality. There was no way for people to see the results for a particular restaurant or for any of the restaurants nearby. So citizens—including the media—often had to contact staff to get more information. This caused delays in the department and decreased efficiency. 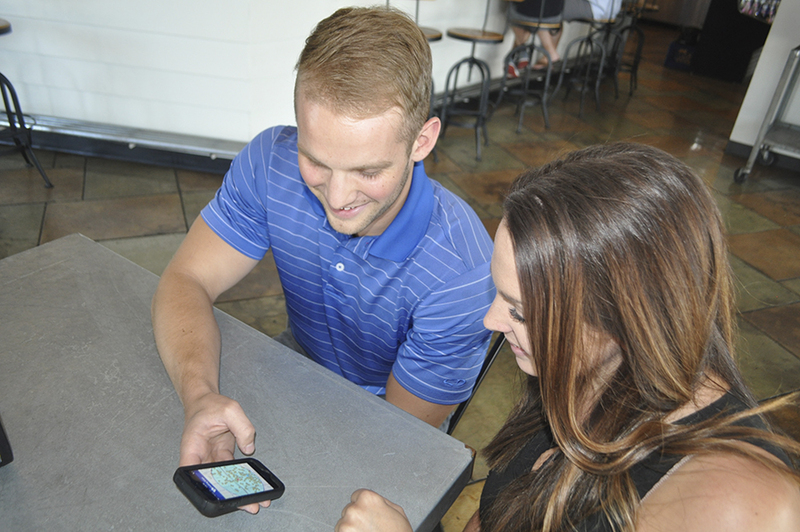 With help from the county’s GIS and IT teams, the Environmental Services Department developed a custom web app called Mobile Restaurant Ratings. It provides the same inspection results that the county’s website previously offered, except they are now displayed on a map based either on the user’s current location or search criteria. Maricopa County launched its Mobile Restaurant Ratings app in August 2015. 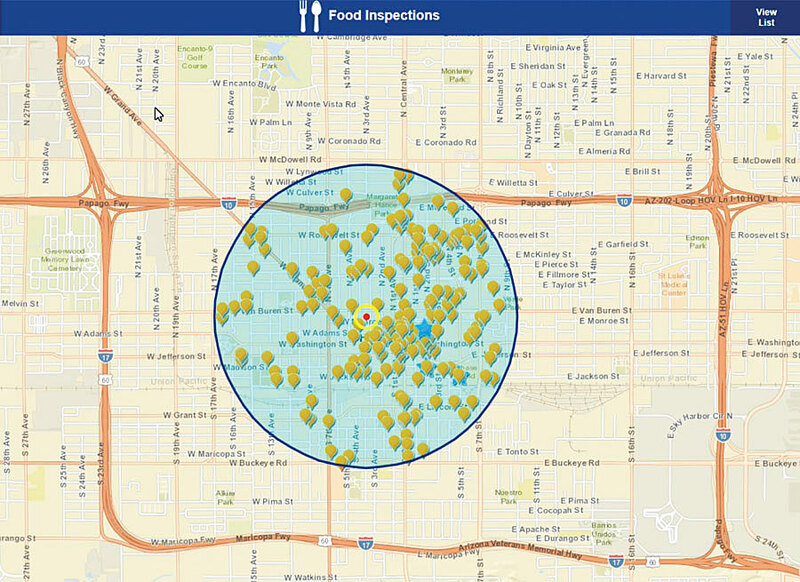 Now, people can access food inspection results for any one of Maricopa County’s 8,000 restaurants, 2,200 permitted grocery stores, and 4,800 convenience and retail food establishments. The Mobile Restaurant Ratings app has also increased interest in the Environmental Services Department’s food safety partnership, called the Cutting Edge Program. Participants are featured in a special section of the app, which also provides information about the program. From August 2015 to February 2016, the rate of enrollment doubled from 8 percent to 16 percent compared to the previous six months.